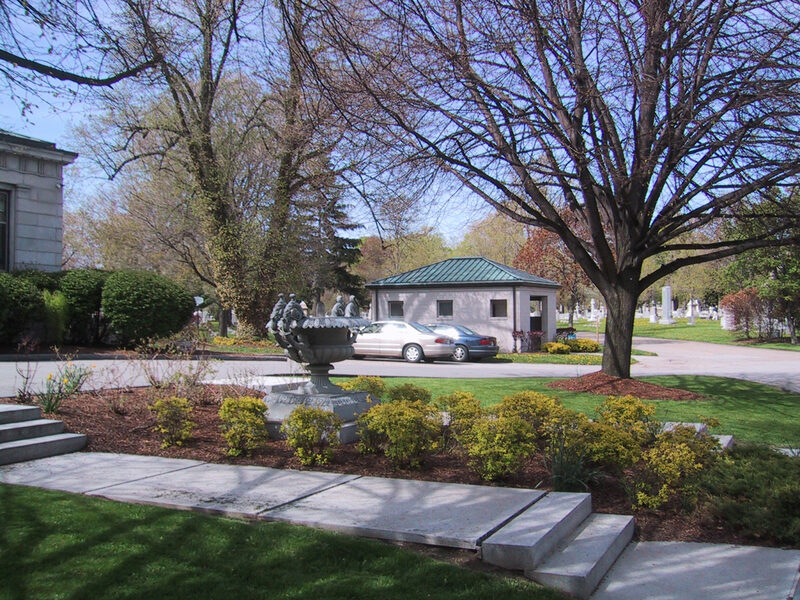 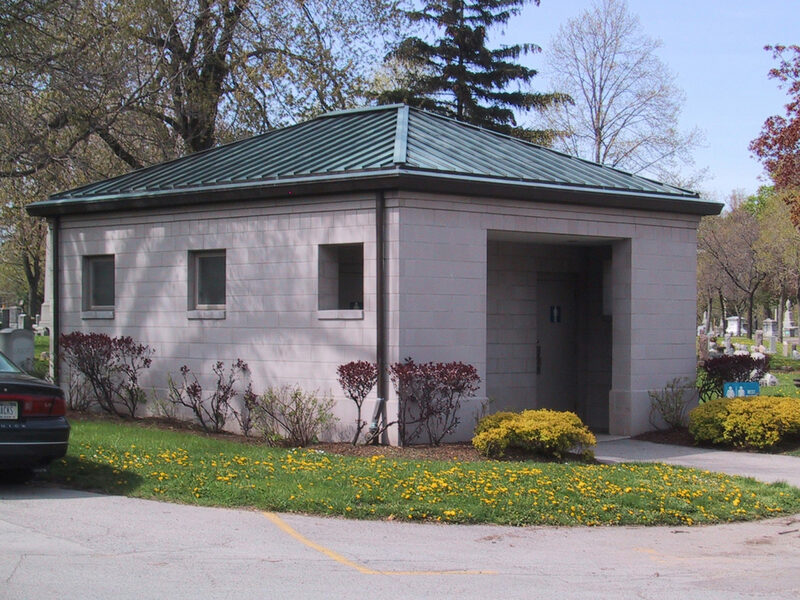 HHL Architects was selected to design a restroom facility at Forest Lawn Cemetery. 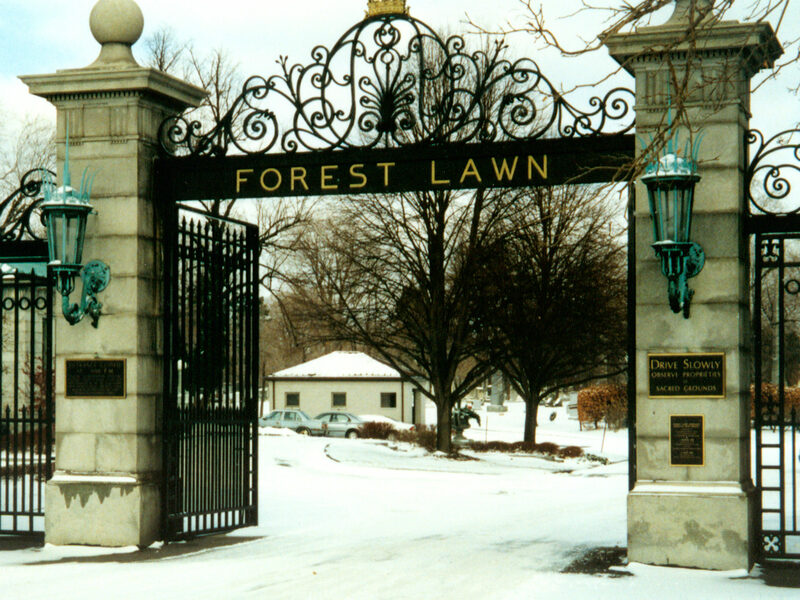 The building was needed to create a facility available to Forest Lawn visitors that was close to the main administration building, compatible with the surroundings, handicapped accessible and easily recognizable. 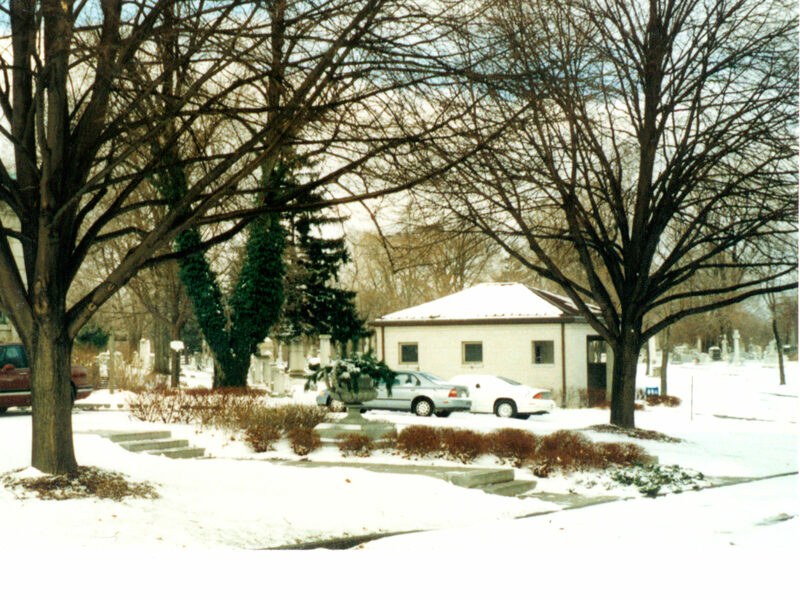 The building is constructed of composite stone to match the adjacent administration building, simple window openings to provide natural light, a protected entrance and copper roof to match the existing structure.